Exhibits are currently sold out for the 15th Annual Meeting. Please contact Sue Marek at [email protected] if you wish to be placed on a wait list. Sue will contact you if anything becomes available. Why Exhibit? 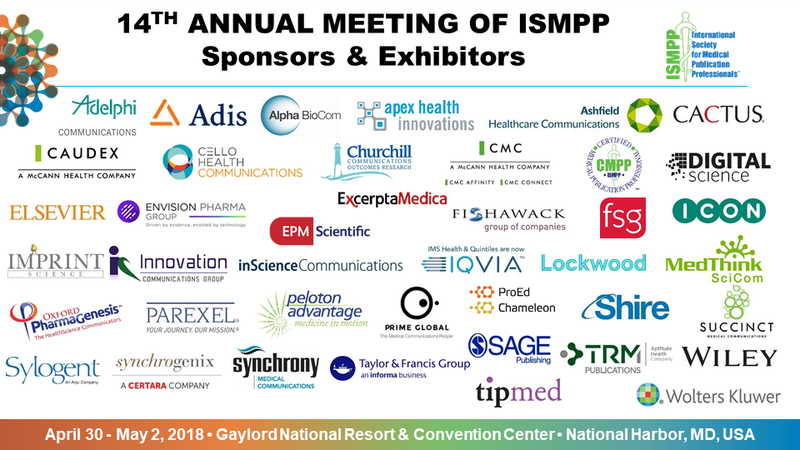 With more than 40 exhibit options and an array of sponsorships, the 15th Annual Meeting of ISMPP is an ideal investment, providing unparalleled access to prospective and current clients! 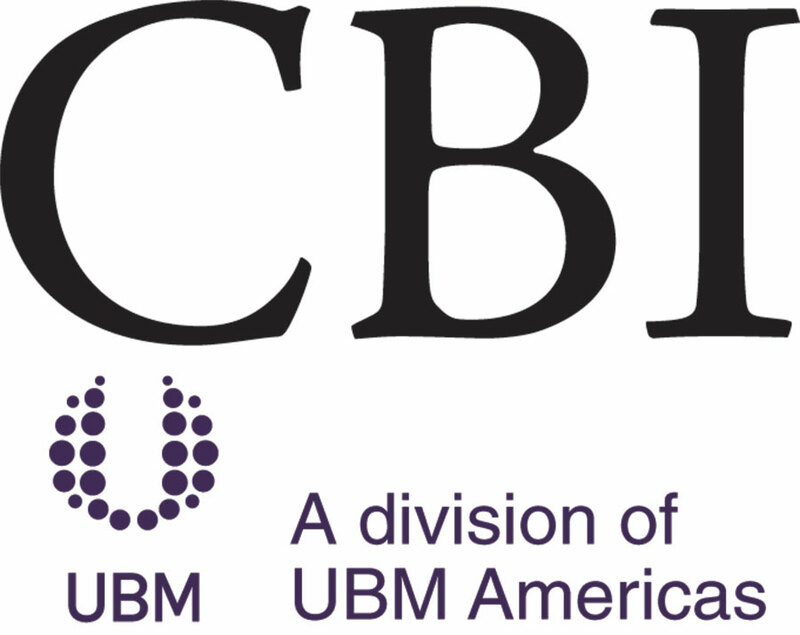 We anticipate more than 650 delegates will attend the 15th Annual Meeting, with more than half of the attendees representing pharmaceutical, biotechnology and device companies. With a target-rich audience such as this, you cannot afford to miss this exclusive opportunity to highlight your company's products and/or services! For questions please contact Sue Marek [email protected]. We are excited to once again host the Annual Meeting at the Gaylord National, a spectacular waterfront resort with sweeping views of the Potomac River. 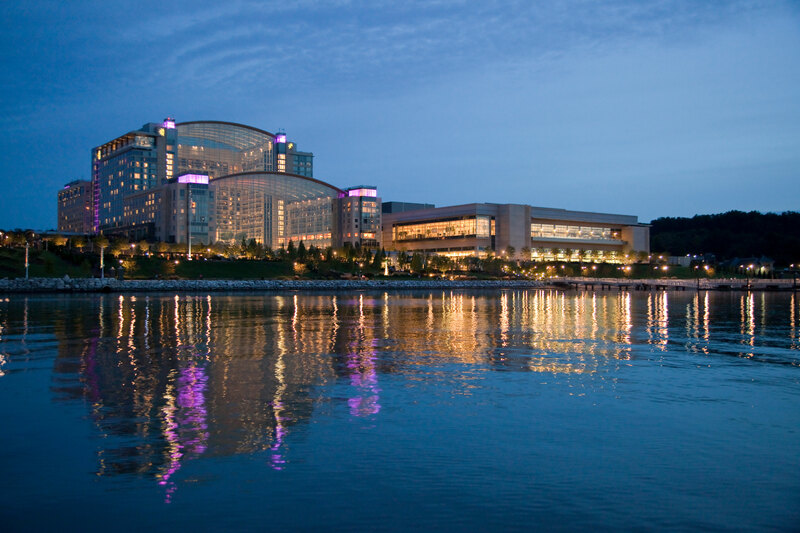 Located just steps from the National Harbor, the Gaylord National is only 8 miles south of Washington DC, and is the premier meeting and conference facility in the region! 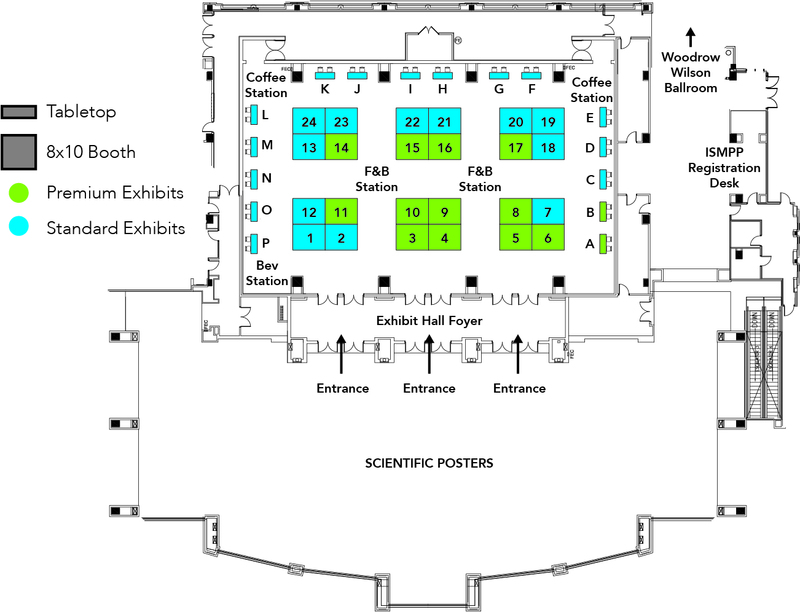 The Exhibit Hall is located in the Cherry Blossom Ballroom which is on the first level (same level as the general gessions). ISMPP sponsor logos will appear in all printed meeting materials and on ISMPP.org. Additional benefits for specific sponsorships are noted in the list below. 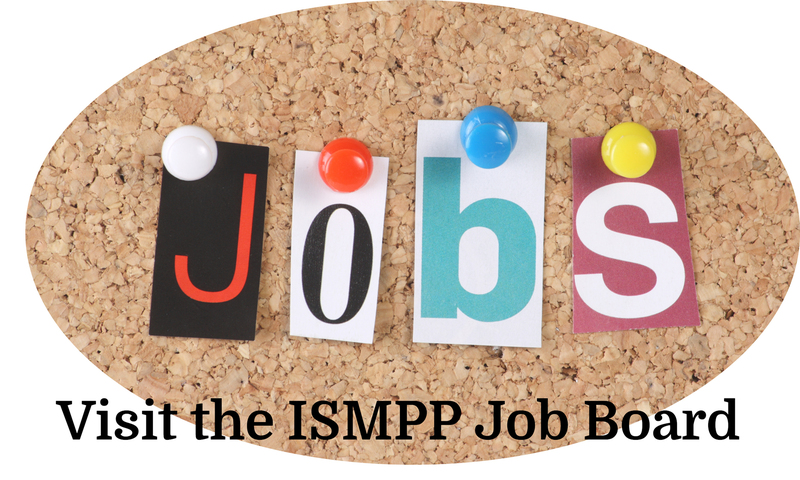 ISMPP will also be happy to work with you to customize a sponsorship. Drop us a line at [email protected]. Sponsor the popular post-meeting “Highlights” ISMPP U, part of our monthly series of webinars accessible by more than 1,600 medical publication professionals from around the world. Registration Tote Bags - SOLD! Exhibitors have until February 4, 2019 @ 5:00 PM (EST) to cancel their exhibit booth space for a full refund. 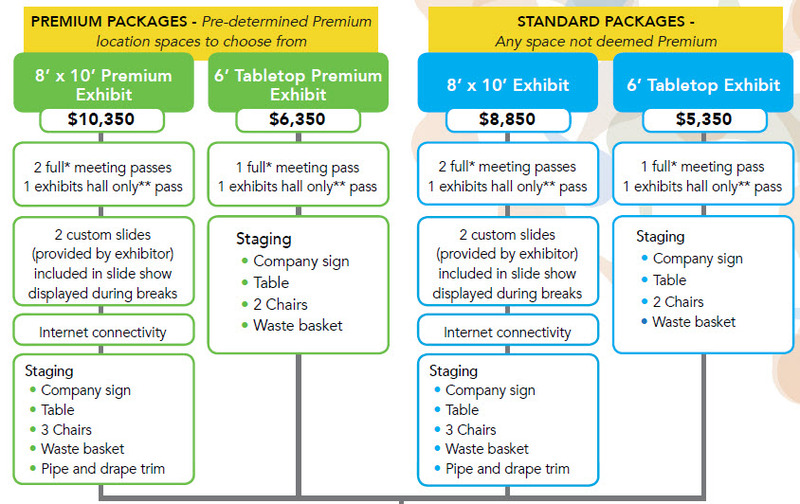 Reducing booth space (downsizing) is subject to the same cancellation policy and refund schedule. No refunds will be given for any cancellations of an exhibitor after the stated deadline noted above. Thank You to the 14th Annual Meeting Exhibitors and Sponsors! Add your name to the 15th Annual Meeting Exhibitors!